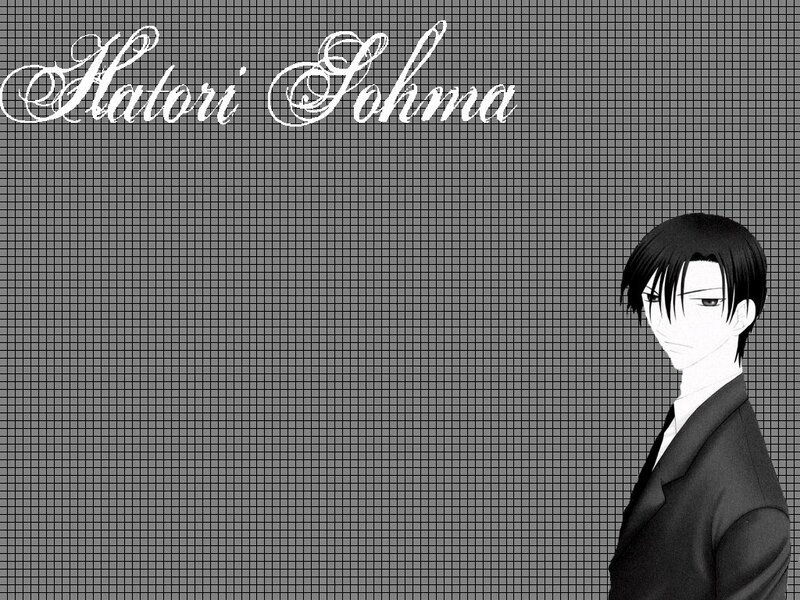 my 3rd wallpaper.its hatori in black and white.tyhe bg it grey with a black grid.the font i porceklin. Oh, very nice. I like black and white. But the background need some working. Very plain though.